Thank you Mary for hosting Mosaic Monday. Enjoy and have a great Monday! Hi there, Lantanas are a favourite of mine and your mosaic full of them is gorgeous, happy MM, Kathy. i miss my lantanas...maybe next year! Beautiful Lantanas... Love the mosaic. Oh...I have lantana growing in my front yard!!! I love it!!! Great mosaic!!! Oh, lantanas, what a coincidence! We just came from the butterfly pavilion and they were on top and sucking the nectar of the lantana. This is a pretty mosaic, so colorful and vibrant! I love lantana too and I've started growing them recently. To see the pretty blooms in a mosaic lie this...beautiful! What a beautiful mosaic of lantanas. You have such a great color variety. Here they are grown as annuals so they don't get really big but I still love them. 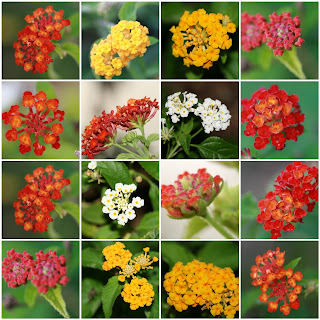 This is such a gorgeous mosaic of these lantanas! I love their little blooms! So pretty. I'm so proud of myself that I even know and recognize Lantana. I have a purplish variety in a pot on my porch. Happy Monday to you! Lantana is one of my favorites. It loves the poor soil and hot summers here in Georgia. The hummingbirds and butterflies love it too. Beautiful mosaic today. Thanks for sharing your beauty and have a wonderful afternoon. That is stunning. Really colourful. I love lantanas and you show so many different kinds. 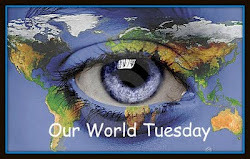 I looked at some of your other posts, your part of the world looks fascinating. what an amazing place you live....simply incredible ! I really enjoy these flowers, but for some reason, have trouble growing them. Yours are lovely. Your lantanas are beautiful - may have to add these into my garden! Love lantana. You can't go wrong with that plant. Lantanas are one of my favorites! What lovely flowers! I am not familiar with Lantanas -- but wow, I should be. So pretty and "bright" looking -- happy and gorgeously colored. Beautiful warm colors and great photos! My Lantana never look that good! Beautiful colorful post! Love the different colours of these flowers! I LOVE Lantanas! This mosaic is perfect! Hummers love them! ...beautiful reds in the Lantanas. Lovely mosaic! Definitely a favourite plant of mine. What a great selection of colours! I have three orange yellow ones just about to come into flower in my garden. Thanks for stopping by. Very interesting blog. Lots of great images. Will be back. Blue Skies.